Postcard notice dated 2nd October 1877 to [William?] Howland, Sherwood, New York from W.J. Sutton regarding payment due to Condensed Oil Company. 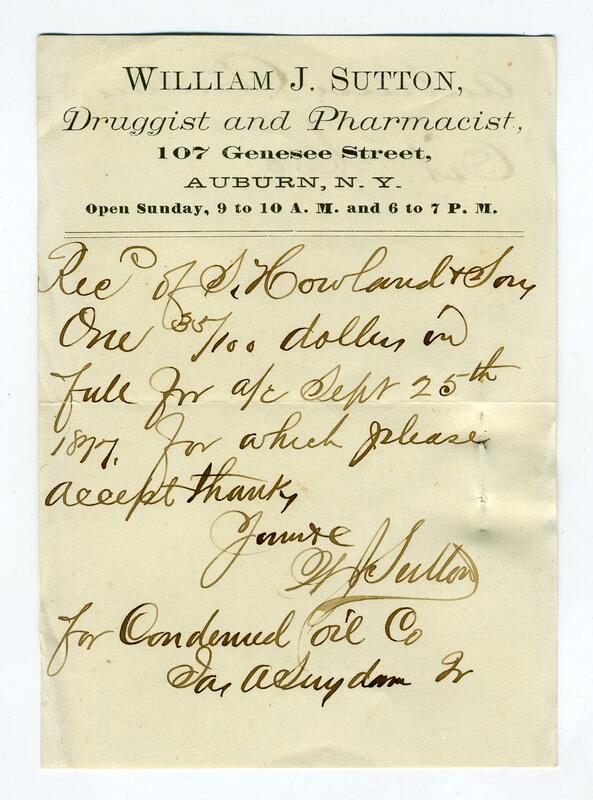 Attached receipt from William J. Sutton, Druggist and Pharmacist, 107 Genesee Street, Auburn, New York, acknowledging payment in full.